I lost mine in a fire last fall. And have not found anything I liked as much as this camera. I picked up one of these about a year ago to help introduce myself to photography, its great for outdoors / landscapes etc. I might move to something like the Nikon D80 one day but this one will keep me going awhile yet! I have the S9500 and a S7000, but does anyone agree that the S7000 is the better of the two.. 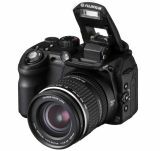 Still an excellent camera as my photos show..
Had a Fuji S9500 for about 6 months and then sold it in favour of the Canon 350D! a true budget DSLR! 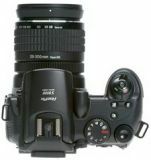 The S9500 is great as a bridge camera to fill the gap between compact and true DSLR. If you are looking for something more creative than a compact then this is for you. Flaws of the S9500 include internal monitor (live view) which is hard to focus compared to a true optical view throught the lens. Also short battery life, severe barrel distortion at 18mm leading to soft focus at the 300mm end! Overall a good camera for your money but if you are looking to get into real photography get yourself a Canon D400 for just a bit more. Youll be glad you did! It's an excellent camera for the price. At low ISO the quality is excellent. I usually take it with me when I go hiking, and a DSLR would be too heavy to carry. However, the noise gets really bad when it gets up to ISO800. The flash is also very weak. So it is not very suitable for indoor or sports photos, as it doesn't have image stablising. With adequate light, or a tripod, I don't think you can get a better camera than this for this little money. I'm happy with the S9000. I did my homework previous to buying it so I knew what I was getting. The camera is well made and feels great in my hands. Image quality is really good. I will be using this camera for both business and personal use. The only reason that I did not give it 5 stars is due to the lack of true image stabilization. That feature would have made a good camera a great camera. Overall I am very satified with the camera. I am not getting technical in my comments due to limited space. There are several web-sites that have done in depth reviews and I recommend that you check them out. I bought this camera about 8 weeks ago, and I'm in love! It's so easy to work with and produces some amazing shots.